When one is feeling boxed in, it’s helpful to be reminded of God’s truth that is revealed in the scriptures. Then the stories you tell, bring home the point. Thank you for posting, Bill. Thanks, Maria. Always appreciate your feedback. Thank you, Bill. 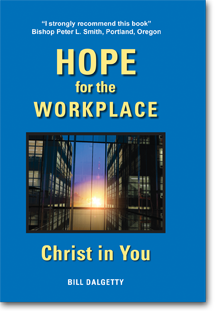 to be able to remain in hope – when circumstances continually assault, is surely a key. We will reap in due season, if we faint not. God’s Word is true. I join in your prayers for your precious Emily. Your weekly reflections lift my soul to the Lord, Bill. You are keeping more souls in tune with the holy spirit than you can imagine . I pray God continues to give you health and resources you need to build his Kingdom. Aloysius, my friend, thank you for your gracious words. Your work in Uganda is equally an inspiration to me. Blessings in all you do. Love that you shared your life experience about your daughter. Standing on God’s Word and praying without ceasing increases our faith to believe and receive that we can have what we pray for.